1 3 l box = 4 x 750 ml bottles. 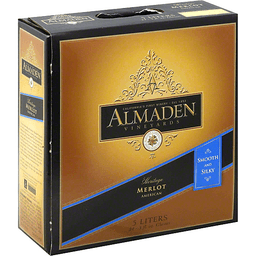 Premium wines. Wine Enthusiast: Since 2004 - 50 gold medals; 29 best buys. A refreshingly delicious red sangria with flavors of fresh berry and citrus fruits. Hints of orange zest lead to a crisp, invigorating finish. 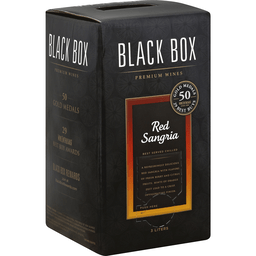 4 bottles of award-winning wine in one elegant box. 1/2 the carbon footprint of glass bottles. 50 gold medals. 29 Wine Enthusiast. Best buy awards. Black Box Rewards: Join at BlackBoxRewards.com. Grape wine with natural flavors. Alc. 10.0% by vol.